The tech giants Apple and Microsoft are at it again with some cool hardware and software integrations. 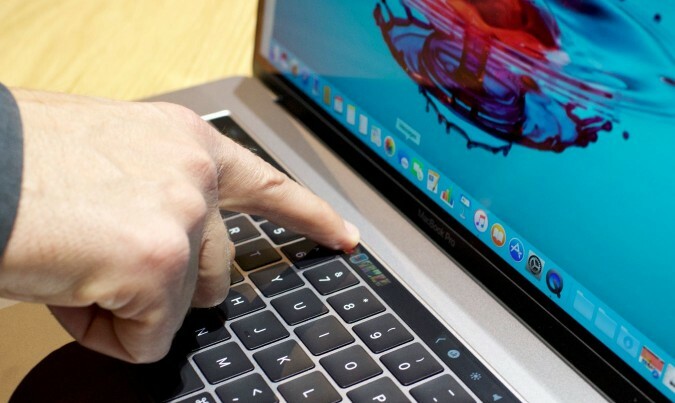 Apple just released 2 versions of the 2016 MacBook Pro with a small second touch screen – called the TouchBar (amazingly similar to the one that came out on the LG V10 smartphone two years ago) shown below- it’s right above the keyboard area. It makes certain tasks more convenient if your hands are already on the keyboard, but high end professionals still prefer a mouse. 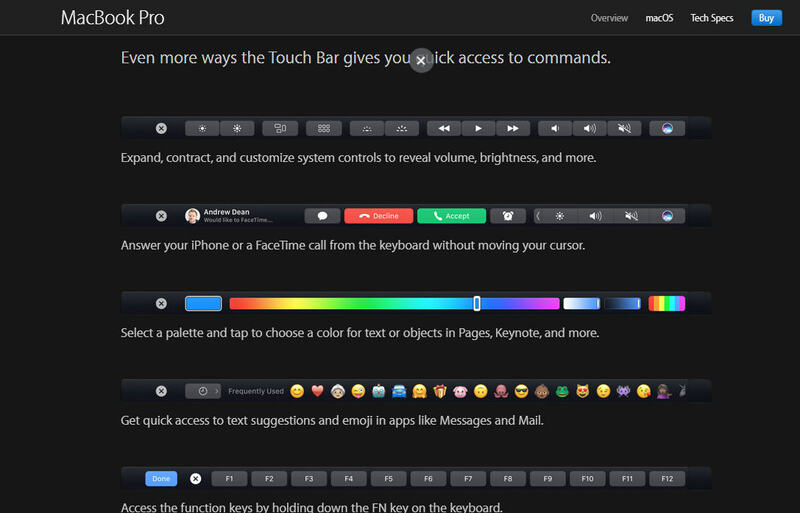 Apple has gotten the closest it has ever been to adding a touch screen without adding a touch screen. Microsoft has push its technology skills to the far limits of the universe with its Surface Studio and Surface Dial. Surface Studio is an entirely new device designed for the creative process. Its roomy and adjustable 28-inch Display provides a huge canvas for all kinds of work. Position it upright to sketch, paint, and edit photos, or lay it flat to draw on it like a drafting table, the possibilities are limitless. The minimal and modern design sits perfectly on your well thought out desk, with clean lines and a small footprint. 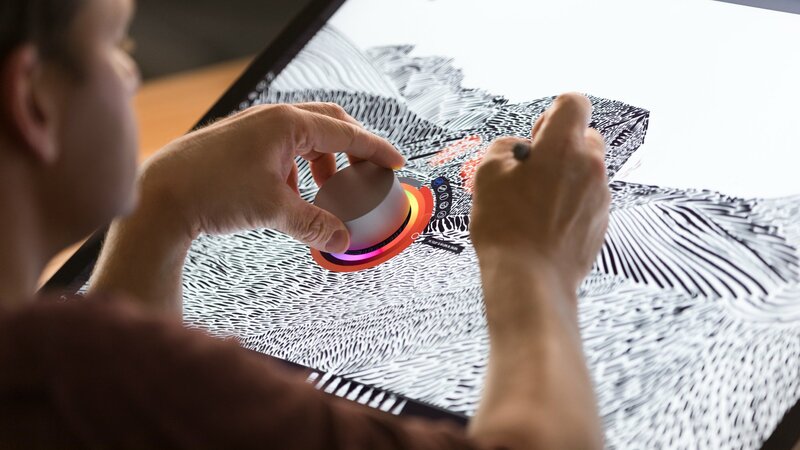 Interact with Surface Studio in a whole new way using Surface Dial. This is alien-like technology never seen before. Press and hold to display a radial menu of tools to do the things you love in applications like Adobe Premiere Pro, Autodesk, Microsoft Office and SOLIDWORKS. Or, simply place Surface Dial directly on the screen and watch as a color picker or a ruler magically appear.